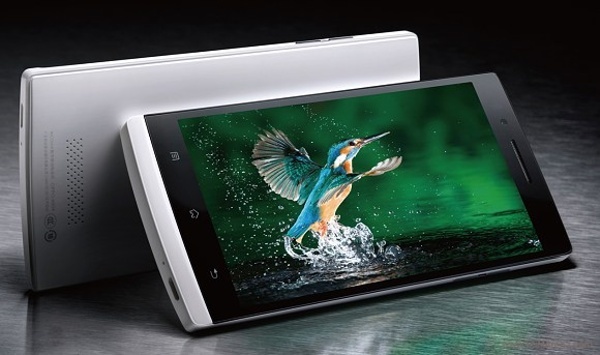 Oppo Find 5 comes with a 5" IPS display of 1080p resolution and with a pixel density of 441ppi. The smartphone features a quad-core Qualcomm processor clocked at 1.5 GHz, 2 GB of RAM, 13-megapixel rear camera and a 1.9 megapixel front facing camera. Oppo Find 5 is powered by Android 4.1 Jelly Bean and features a 2,500mAh battery.